A drive through the Neath valley on the A465 is without doubt one of the most scenic and beautiful in Wales. During spring, the vale of Neath wakes from its winter slumber. During the summer months, the valley shows off its greenest finery, and during Autumn, rusts of the autumn leaves adorn the ever changing landscape while in winter, the snow-capped mountains are breath-taking. I watched the road being built and made a pictorial record from the start of the project to completion - on this page you will see just a just a brief look at the construction. I had two friends killed on the old notorious A465 and the so called missing link was well over due. 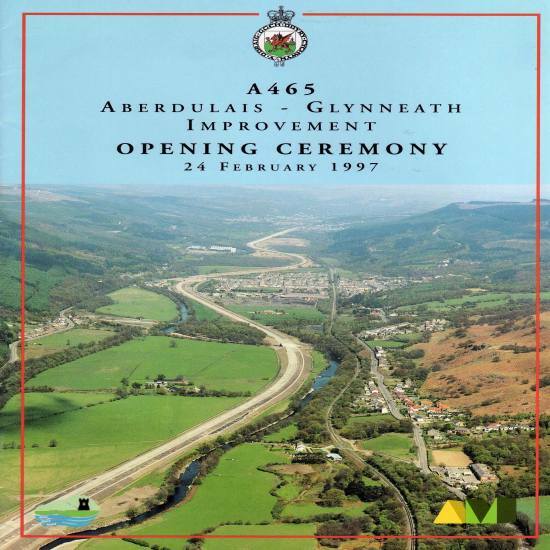 New roads are often controversial, especially when they cut through virgin country side, but there was always a consensus that an extension to the new A465 would be best for the people who lived in Cadoxton, Aberdulais, Tonna and Glynneath. 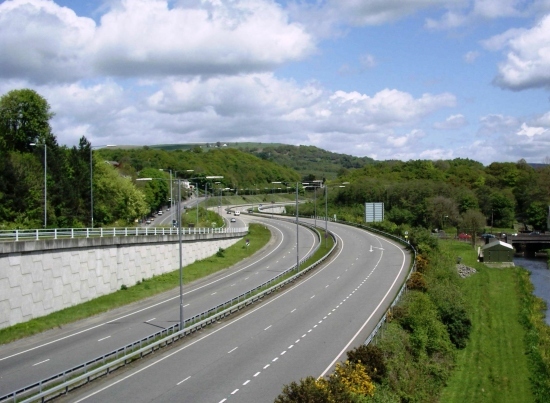 We wanted the extension desperately, the villagers particularly in Abergarwed in the vale of Neath held a blockade on the old A465 and in the end they won the battle as the Welsh office finally gave in and said that they would go ahead with the so called missing link. 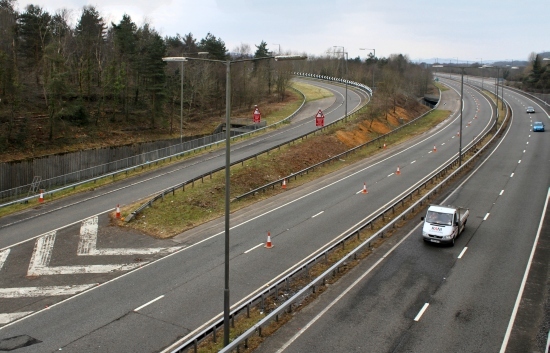 The contract was awarded to Alfred Mc Alpine Construction Ltd. in December 1993 for a tender sum of £45.745 million------ work started January 10th 1994, it opened to traffic on February 24th 1997. Aberdulais Baptist church had to be demolished and, under the land compensation act of 1961, a new church and community building was provided at Henfaes road Tonna. Water levels in the river Neath rise and fall rapidly during flood conditions. To keep the road above the 1 in 10 year storm flood level it had to be built on embankments requiring large quantities of fill material to be brought to the site. 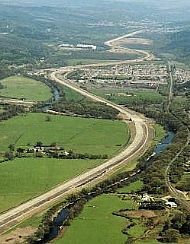 The river Neath meanders through the valley and had to be bridged and diverted in several locations variable glacial ground conditions at Aberdulais had to be dealt with, also the wildlife was taken into consideration as water levels and deep water pools were created for migratory fish, artificial otter holts were built to encourage this protected species to return to the river.